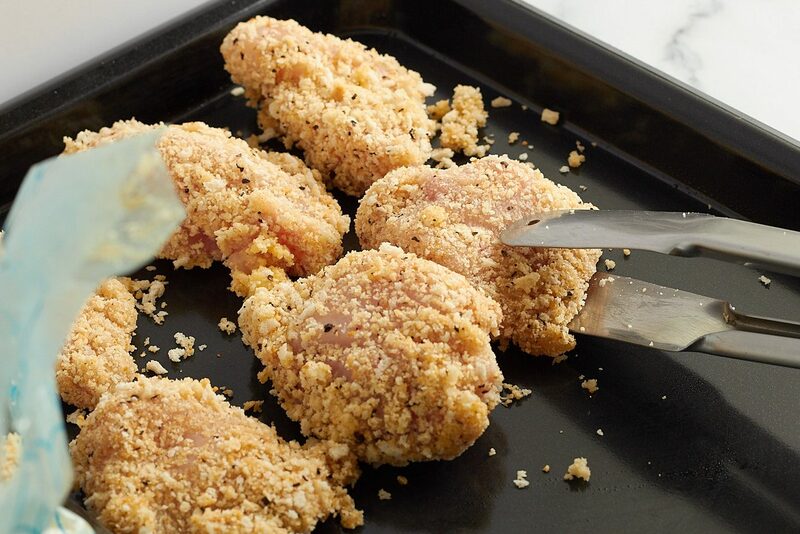 Breaded chicken dishes are tasty and versatile, but do you dread cleaning up the mess created when breading the chicken? All that raw egg, flour and breadcrumbs all over your kitchen countertops, hands and dishes can be enough to put you off making breaded chicken dishes ever again! 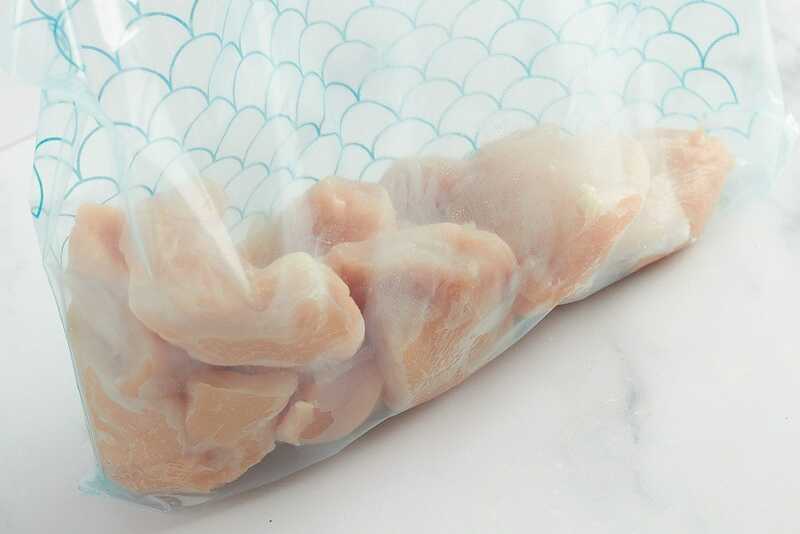 This simple method is a no-mess, no-fuss method of breading chicken (or any other meat or fish), and all it uses is a resealable, heavy-duty freezer storage bag. Cut your chicken into whatever sized pieces you want. You can also keep the chicken breasts whole for breading too. 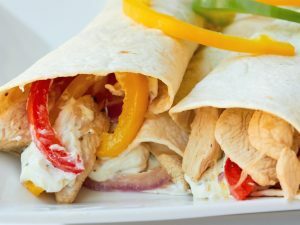 Pat them dry all over with kitchen roll – the drier you can get them the better, as it helps the egg to stick to the meat. 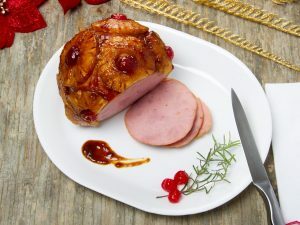 You can also coat the chicken in flour if you wish, as in the traditional method of breading. 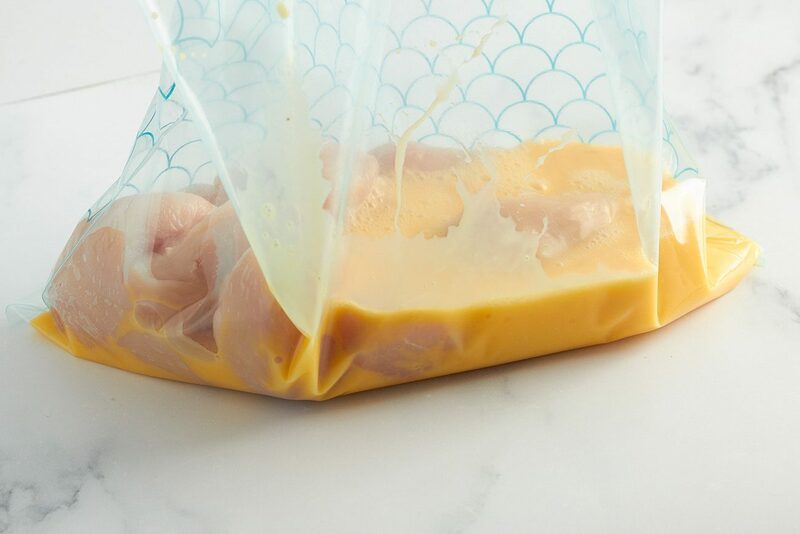 Put the chicken into a large, resealable plastic storage bag. Next, work out how many eggs you’ll need to coat the chicken. 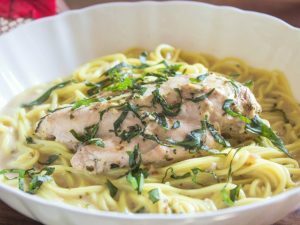 Around 2 eggs per pound of chicken works well. Beat the eggs, then pour them into the bag with the chicken. Seal the bag up, and carefully move the chicken pieces around in the bag, until the egg has coated all of them. 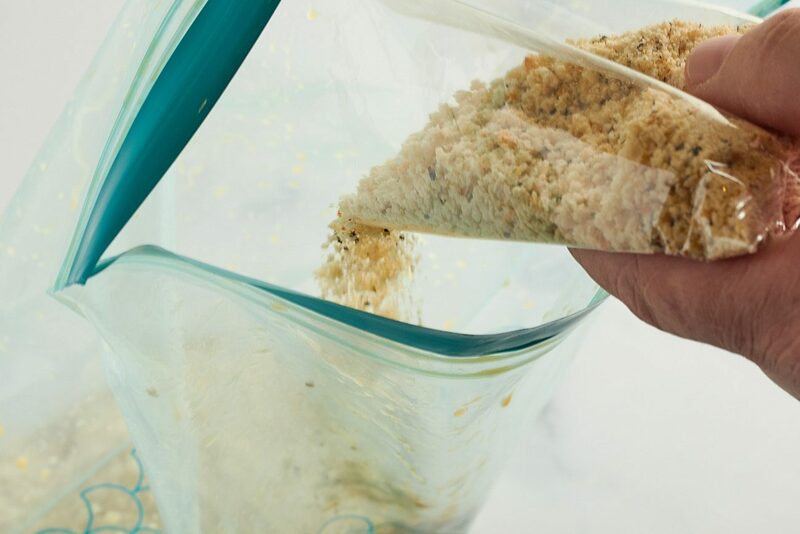 If there seems like too much egg in the bag, pour some of it out so that your breadcrumbs don’t get completely soggy in the next step. 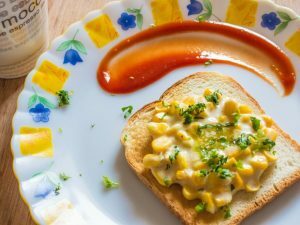 Pour in your breadcrumbs and any other herbs or seasonings you want to use. Seal the bag again, and toss the chicken in the breadcrumbs, moving the pieces around to evenly coat all the chicken. 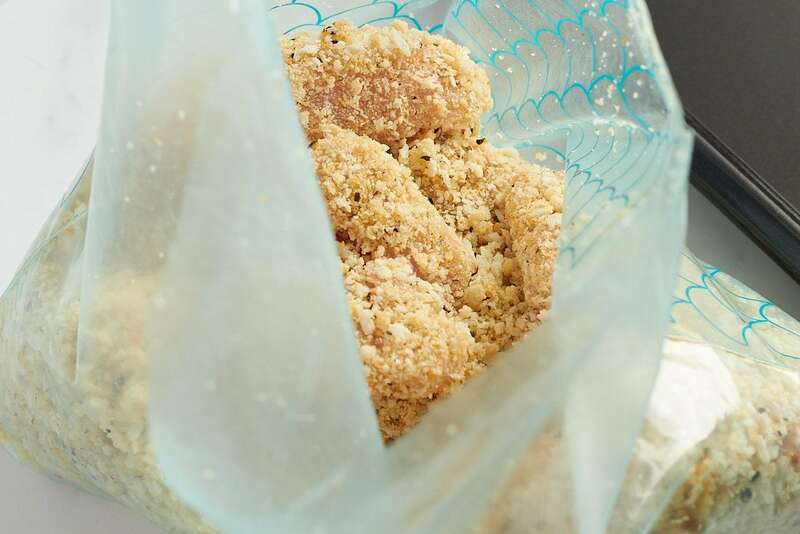 Use tongs to remove the coated chicken pieces from the bag so that you don’t get the eggy breadcrumbs all over your fingers. 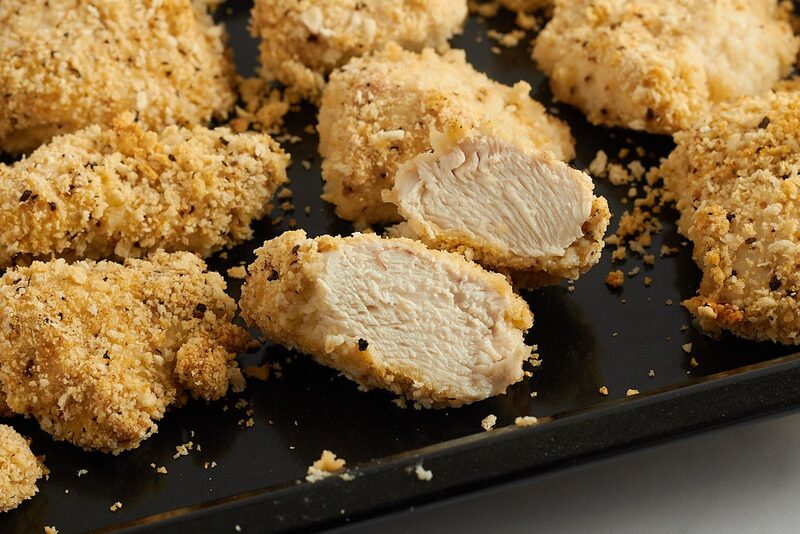 Fry or oven-bake your chicken pieces, or add them to a recipe. I oven-baked these ones below for a healthier option, but you can fry them just like regular breaded chicken.